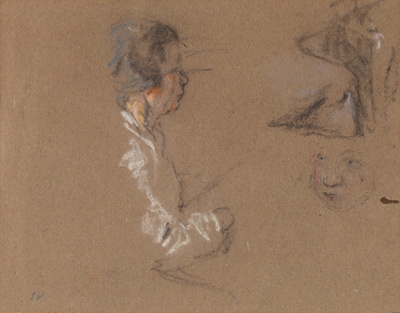 On the website for the Edouard Vuillard show at The Jewish Museum, a lovely show of gem-like portraits and interiors, I found images of two versions of the Bloch family portrait along with preliminary pastel sketches that reveal how this beautiful painting took shape. 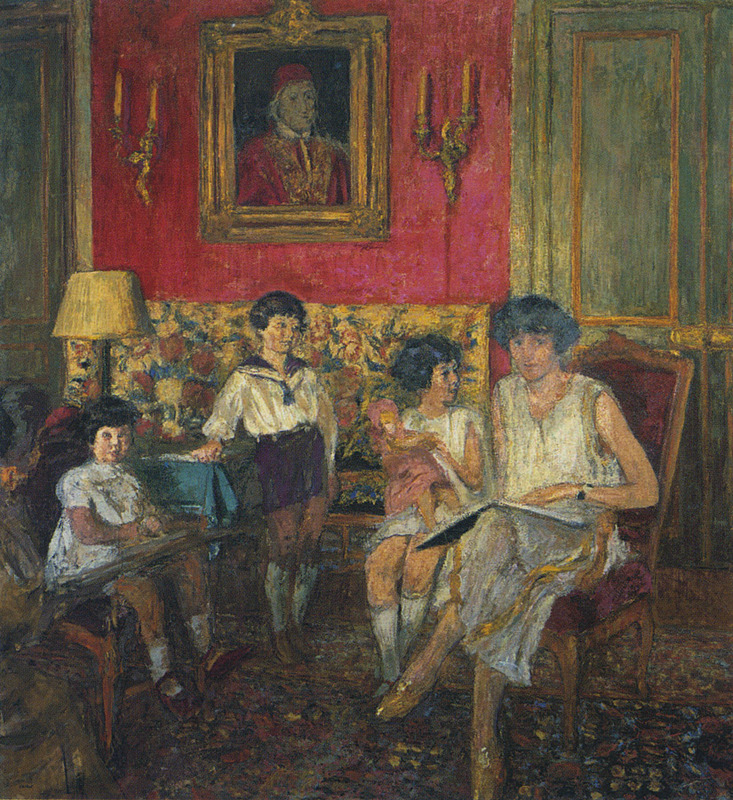 Here they are, along with an interview with Claude Bloch Dalsace, one of the children depicted in the painting. 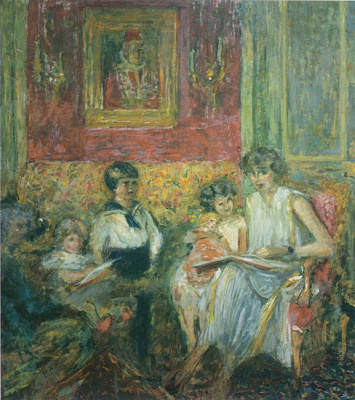 Edouard Vuillard, Madame Jean Bloch and Her Children, first version, 1927–29, glue-based distemper on canvas, 75 3/4 x 70 5/8 inches. Neffe-Degandt Ltd., London. 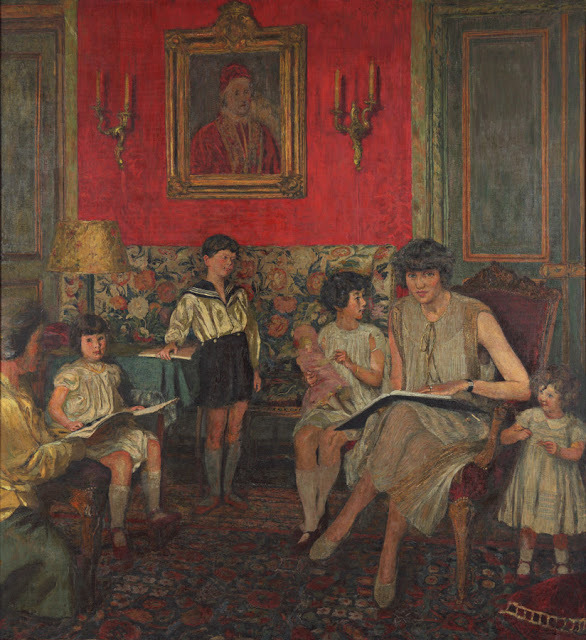 Edouard Vuillard, Madame Jean Bloch and Her Children, 1930, reworked 1933 and, 1934, glue-based distemper on canvas, 72 7/8 x 70 7/8 inches. 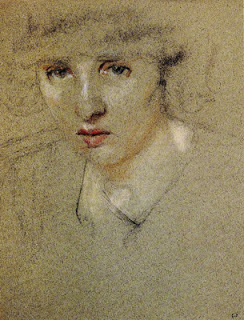 Private collection, Paris. 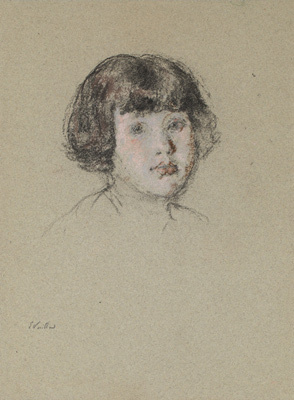 This is the second version of the portrait, created when the Blochs had another child. 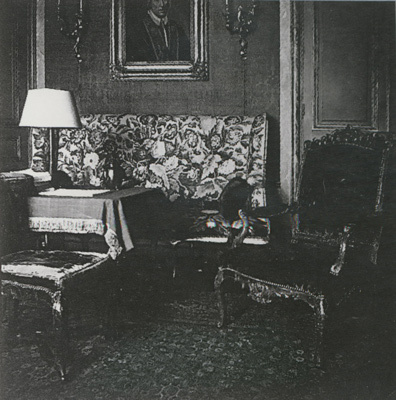 Vuillard’s preparatory photograph of the Bloch’s sitting room. 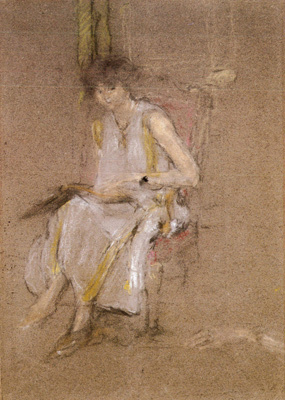 Preparatory drawing, pastel on paper. 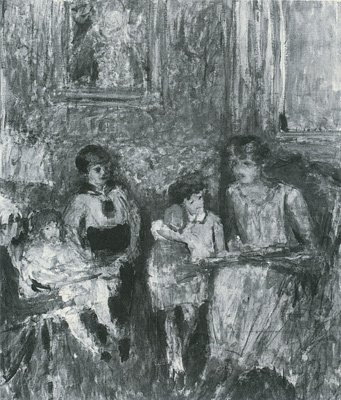 Edouard Vuillard, Preparatory study for Madame Jean Bloch and Her Children, 1927, glue-based distemper on paper, 74 x 63 3/4 inches. Private Collection. Preparatory study, glue-based distemper on canvas, 76 3/4 x 69 inches. 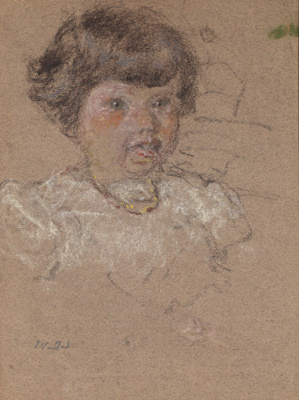 Claude Bloch Dalsace, one of the children in the portrait, recalls what it was like to sit for Vuillard. “Edouard Vuillard: A Painter and His Muses, 1890-1940,” The Jewish Museum, New York, NY. Through September 23, 2012. NOTE: For readers who use pastels, check out the Mount Vision Pastel Company. These are later period Vuillards of course. His style shifted a bit towards the end. 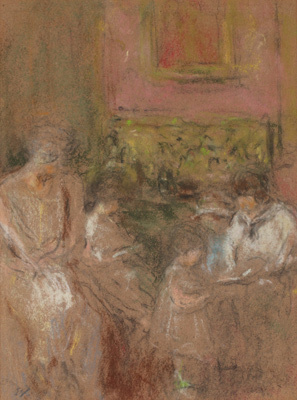 When I saw the big Vuillard show at the National Gallery several years back, I remember feeling disappointed in these paintings after seeing so many of the wonderful darker, shadowy, and more ambiguous ones earlier in the show. 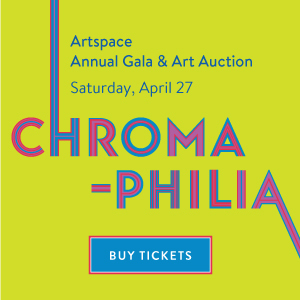 It almost seemed like two different artists had painted them.